We said bye bye to our friend at Rhema’s nite-nite house. 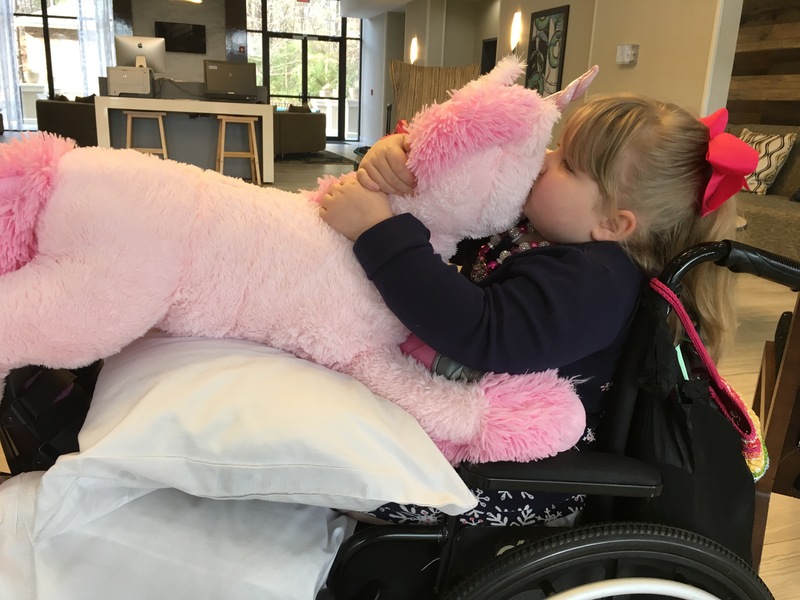 She LOVES the pink unicorn the staff purchased for her. We are so very blessed to have this extended “family” at our Hotel. Rhema loves going to her hotel; if we go up and back with out going to the hotel she gets very upset. Lol! Daddy and Mamma did the first round of wound care this morning on our own. Both wounds look worse but not in a bad way. We were warned they would look worse before they got better. We know what to watch for– those things that should we see then, we need to head back to the hosptal. I’m happy to say that this morning both wounds looked like they are responding to the treatment and healing. Praise the Lord! 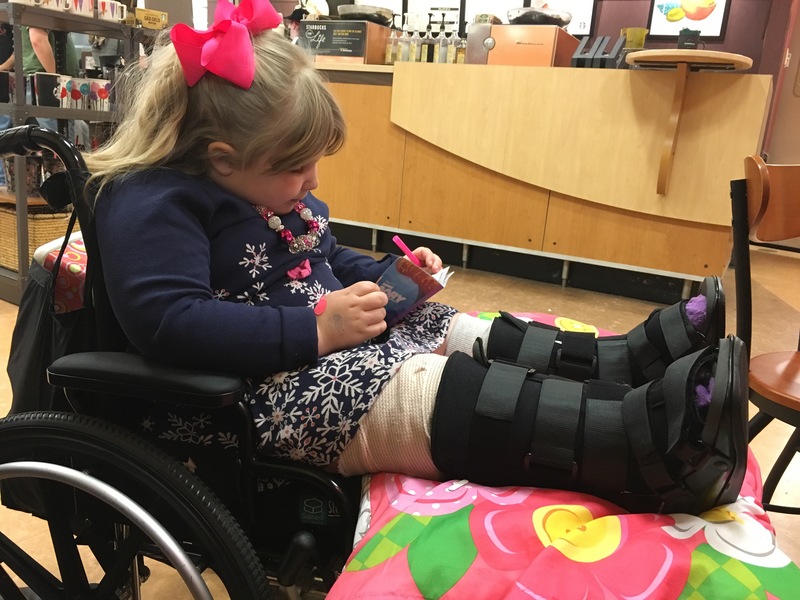 Rhema got her boots from Mr Bill and we are working on how to get her feet in there safely; they should help keep both feet stable while they heal. The right foot (the naught one/Houdini foot) is looking less puffy and the swelling is going down. 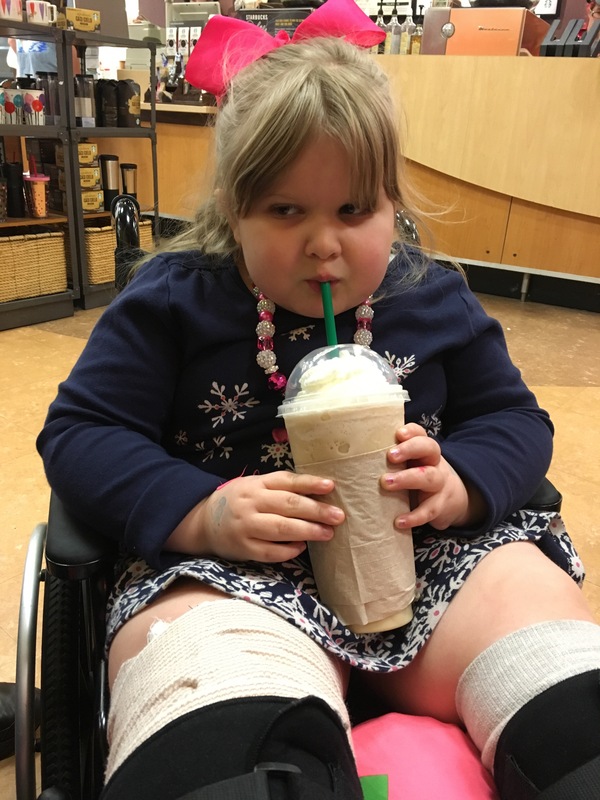 (Rhema liked mamma’s frozen chia tea. She is getting so brave to try new things). Tonight we hope to get her a proper shower and then do her second wound care treatment. We thank you all for your continued prayers. It’s been a long, hard few days for all of us. I’m praying we finally have a good solution to getting her healed up and back on track. We still have several questions and do not feel good about some issues with this surgery so we ask you pray for wisdom for us and for clear direction too. Our heart always is to hear the voice of our Father God and walk in His provision. 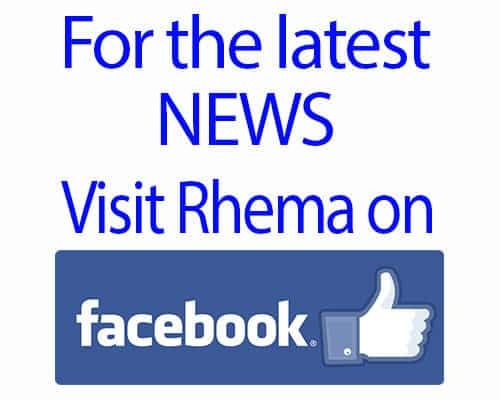 When we do that, things always work out and Rhema thrives.